Planning a trip to New York City can be a wild ride. There are so many things you want to do and see, but you have a limited amount of time and money. How do you squeeze it all in without going broke? Let’s start with food! 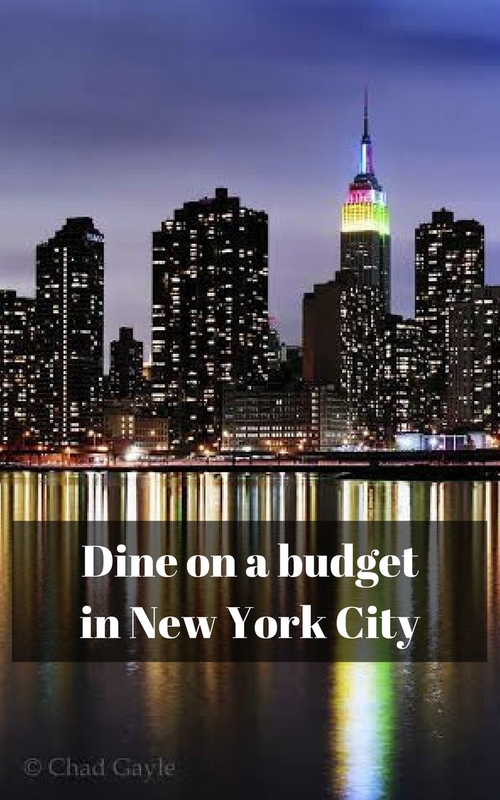 My friend, and NYC local, Chad Gayle suggests some of the best restaurants to dine on a budget in NYC! He even arranged it by neighborhood. Thanks, Chad! You’ll be hard pressed to find a restaurant in Little Italy that’s a bargain, but family style restaurants offer some savings. Family style means portions are served on plates large enough for the entire table. 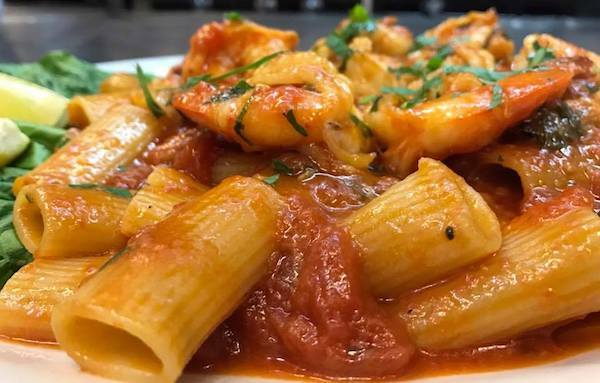 While many have closed, two that get good reviews are La Mela (167 Mulberry Street between Grand and Broome Streets) and Paesanos of Little Italy (136 Mulberry Street between Grand and Hester Streets). Lunch is also cheaper than dinner, if you can arrange your schedule that way. For genuine Italian desserts, you can go to Ferrara’s, 195 Grand Street, but expect a line. 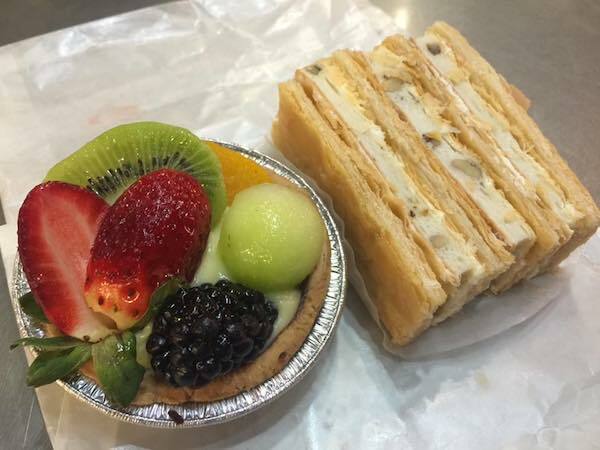 If you’re willing to venture outside the neighborhood, you can take the 6 Train to Astor Place and walk a few blocks east to Veniero’s Pastry at 342 E. 11th Street between 2nd and 1st Avenues. Veniero’s Pastry serves the very best cannoli you’ll ever have, and the prices are very reasonable. There are many affordable places to eat in Chinatown. One of my favorites is Big Wong King 大旺, 67 Mott Street, which offers authentic Chinese food at rock bottom prices. I recommend the duck or the spare ribs. So delicious. The restaurant is cash only — so plan ahead. After dinner, you’ve got lots of dessert options. If it’s cold, try the traditional Chinese bakeries that line Mott Street and Canal, where you can get a pineapple bun or bubble tea for next to nothing. In my opinion, Dragon Land Bakery, at 125 Walker Street is the best of the bunch. 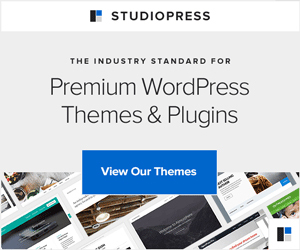 Coming in the summer? 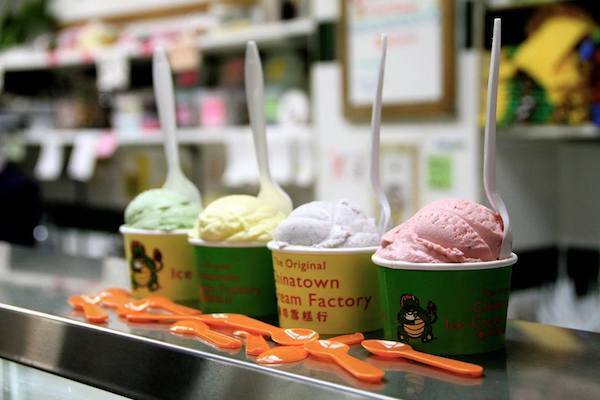 Walk over to the Original Chinatown Ice Cream Factory, at 65 Bayard Street, which is just a block and a half southeast of Big Wong. They have ice cream flavors you can’t find anywhere else. At some point you’ll find yourself on the Lower East Side, which is overrun with swanky bars and upscale restaurants. 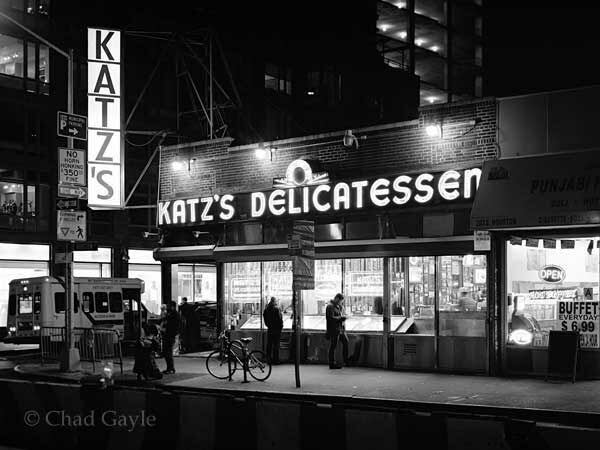 To save a few dollars, you can’t go wrong with Katz’s Delicatessen, 205 East Houston Street, which still has the best pastrami in New York. There’s also Russ and Daughters, 179 East Houston Street, which sells — and I am not exaggerating when I say this — the tastiest bagels and bagel sandwiches in NYC. Greenwich Village, which is split into the West and the East Village, has just about every kind of cuisine you can think of. 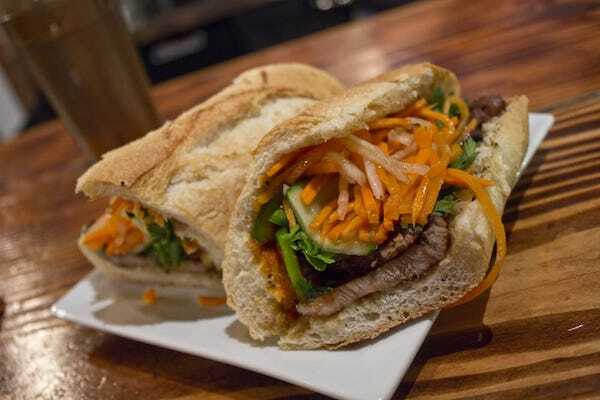 In the West Village, I personally recommend Saigon Shack, 114 Macdougal Street, for a sit down Vietnamese meal. For Meditteranian, head to Mamoun’s at 119 Macdougal Street. In the East Village, you can’t go wrong with Veselka, 144 2nd Avenue, which has some of the best cheese blintzes in Manhattan — and they’re served all day. Prices are reasonable and the menu offers a great variety. 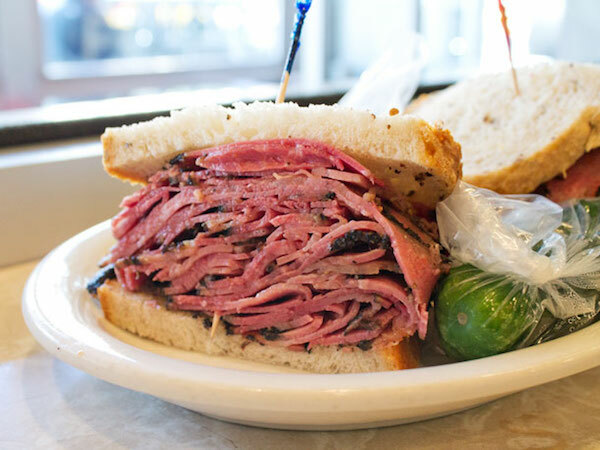 After you’ve strolled through Central Park or visited the American Museum of Natural History, walk over to the Upper West Side and stop in at Artie’s Delicatessen, 2290 Broadway at 83rd, for the sandwich of your dreams. 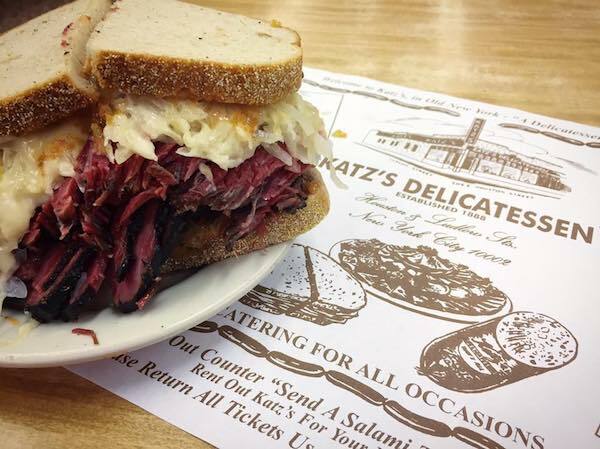 Artie’s is a traditional Jewish delicatessen that makes an incredible Reuben. It’s a great place to go for lunch or dinner. Travel tip: Just a few blocks away is the beautiful Riverside Park and Hudson River Greenway. On the east side of Central Park, which locals call the Upper East Side, you’ll emerge from the Metropolitan Museum of Art to find an array of food trucks and carts that occupy the length of a city block. Most of these are fine for lunch and won’t set you set back much. Skip the hot dogs and pretzels and try something different. If you don’t mind walking about 6 blocks from the museum, I recommend the concrete at the Shake Shack, 154 East 86th Street (between Lexington and 3rd Avenue). 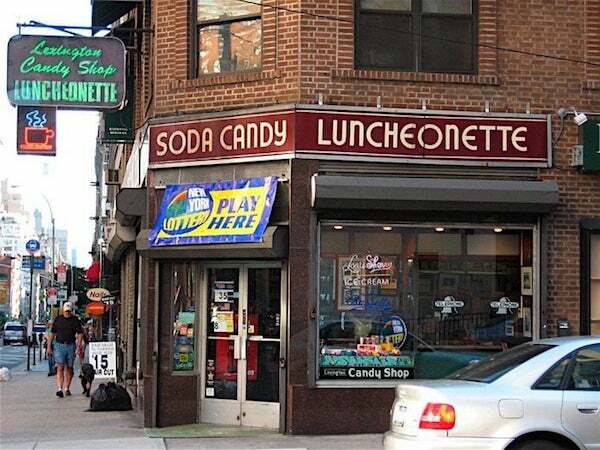 For a taste of old New York, visit the ninety year old Lexington Candy Shop (the locals call it the Luncheonette) at “83rd Street and Lex” or 1226 Lexington Avenue, where you can get an ice cream sundae, a milkshake (voted the best milkshakes in New York), or even an egg cream to go with your burger or club sandwich. Prices at the Luncheonette are a bit high, but for the Upper East Side, they’re not too bad. 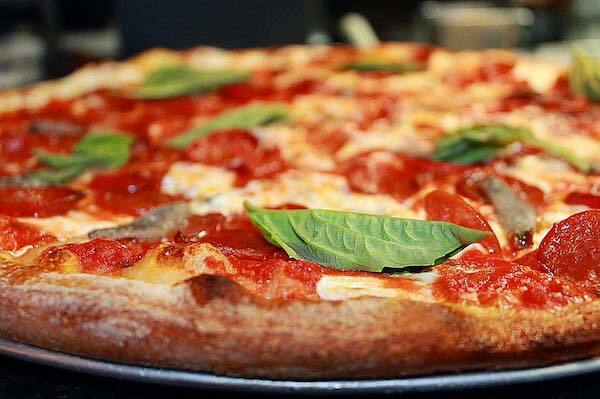 Let’s end on a tender but contentious subject—New York pizza. Our pizza may not be like your pizza. It’s got a thin crust. For the best New York Pizza, do yourself a favor and go to Patsy’s Pizzeria (2 locations) and try the brick oven pie. Your stomach will thank you. I’ve only touched on some of the great neighborhoods you might be visiting during your trip to NYC, but hopefully these recommendations will help you eat well without spending a bundle. Don’t be afraid to try something new. And don’t forget to tip. About the author: Chad Gayle is the author of Let It Be, a family drama set in the 1970s. He also sells New York prints at Brooklyn Prints, where his love for NYC is always on display.